On the 1 of August 2012, an agreement between EСTV NETWORK LIMITED and Hocus Pocus, Ltd. was signed for distribution of educational channel English Club TV to CATV networks, IPTV and digital platforms in Portugal. 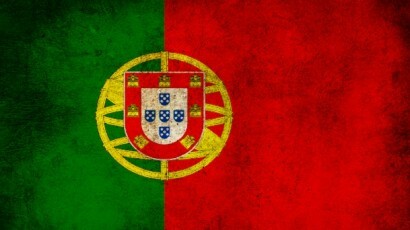 “Portugal is not an Anglophone state and English is not as widely spoken as in many other countries of Western Europe. As I know from the latest report of Eurobarometer, only 27 percent of Portuguese are English speakers. I’m positive that signing the contract with Hocus Pocus, Ltd. will produce great result for those who desire to learn English, to increase their international mobility and accessing of information,” said Andrew Semchenko, CEO of EСTV NETWORK LIMITED. Ana Maria Russo, CEO of Hocus Pocus, Ltd. said, “Due to the actual economical situation, Portugal as well as other markets in Europe, now represents a big defiance. I believe that ECTV Network Limited is making a big investment in culture by bringing that culture to people; and Hocus Pocus, Ltd. will make all efforts to distribute ECTV in the Portuguese Territory”. ECTV NETWORK LIMITED, the partner of English Club TV Ltd., distributes the English Club TV Channel in more than 94 countries in Europe, Asia, Africa and Middle East. English Club TV programs are developed for viewers and listeners who have different levels of English. All rights reserved.English Club TV is an educational channel for those who study English. All programs have been developed by experienced methodologists and have an educational aspect, which helps to combine education and entertainment. Moreover, programs are divided into different levels and topics, which help viewers to enlarge their vocabulary with new words from different areas of life and therefore can feel comfortable in an English speaking environment. The English Club TV Channel is encrypted using the Viaccess 4.0 system. More information read on www.english-club.tvHocus Pocus Ltd. works in the Portuguese Territory as an Agent for several international Service Providers. The company develops this work since 1998 and has created important business relations with all Operators in the market. For more information, please contact ana.russo@hocus-pocus.pt.